How to Read Food Labels: What Do Common Warnings Mean? – Wake Up! Home / Joint Health / How to Read Food Labels: What Do Common Warnings Mean? It’s difficult enough to get proper nutrition from the foods we eat. What’s even more cumbersome is avoiding harmful ingredients that can make their way into our foods. One way to know about potentially harmful ingredients is to read food labels. However, many of us don’t stop to think about what these labels really mean. These warnings are very effective at preventing everything from minor to life-threatening reactions. Even if a product does not contain large amounts of an allergen, trace amounts are possible. This is especially true when products are made in the same facilities with allergen-containing foods. It is against the law to withhold such information on packaged food labels. Proposition 65, or “Prop 65,” was enacted by the State of California in 1986, as the Safe Drinking Water and Toxic Enforcement Act. Voters passed the proposition in response to growing concern about chemicals entering the environment and drinking water supplies. The law sought to prevent companies from emitting large amounts of carcinogens into the drinking water. Although the Proposition 65 label is scary, the warning can be misleading. The fact is that many products we buy that don’t have the label may also contain carcinogenic ingredients. Furthermore, companies are required to report the presence of these chemicals (which may be both natural and synthetic) in trace amounts. Products and places with the Proposition 65 warning are usually no more toxic than similar products without the label. 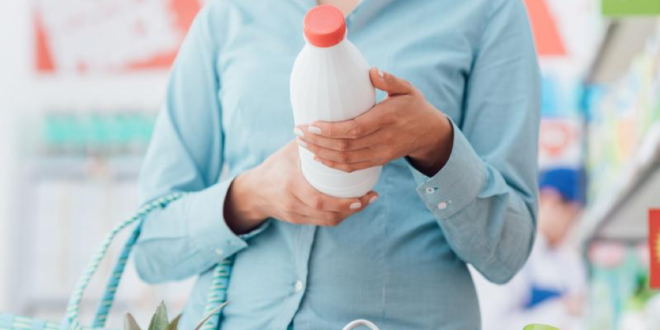 Overall, the proposition has helped protect consumers, and it has fostered accountability among companies regarding what’s contained in a product. FDA approval means a product has been tested in some way by the Food and Drug Administration. However, the absence of this label should not alarm you. In fact, there are healthy and safe products, such as vitamins and herbal supplements, that have not been approved. It’s also important to note that FDA approval does not necessarily guarantee safety. It’s necessary to do your own research and consult with a physician or nutritionist regarding products and their potential effect on your health. Warning labels have their benefits for the general public. However, in this day and age, it’s the consumer’s responsibility to do further research to determine a product’s safety and effectiveness. If you want to keep up to date on interviews, videos, events and more from health professionals then make sure to register for a-behind-the-scenes account! It’s fast, easy, and free!